Vintage. It’s a strong word. It commands respect. To call a car vintage to people who don’t get cars is to associate age. But to car enthusiasts it’s an instant association of “they never made anything like it again.” Take, for example, the 1950s. I like to think of the 50’s as a period in time where the focus of manufacturers didn’t center around design or power, but instead to get a vehicle in every home of every freedom loving American. It was a reward for winning the war, and they rewarded well. The American powerhouses produced some names that would go down in the history books. Through the fifties the cars boomed but then you had the sixties where the real sluggers came out. The GTO, Mustang, Shelby, and Trans-Ams to name just a few. The Morgan 4/4 is the world’s longest running production vehicle. The sixties brought a focus on power, they changed the way cars were viewed and dreamed of. Cars no longer were a mere celebration, they were now a sign of dominance. This brough along iconic improvements to the driver experience. Disk brakes, non tube tires, hard tops, functionally placed headlights, and most importantly a bigger focus on using electricity to assist the functioning of a car. Post-60s, car design took a turn for the worse, then the oil crisis made muscle go out of fashion, the 80s tried to predict the future and the mild 90s just kind of came and went. Really, true grass roots ‘vintage’ surely ended somewhere in 1970. Engine options are a 1.6l 4-cylinder or 3.7l 6-cylinder. Yet vintage is not lost, there is still one company in the 21st century that holds on to a traditional belief of a proper car. I’m on about the Morgan Motor Company. English at nature, they refuse to change and move away from what the believed in. Believe it or not, Morgans to this day are still made from wood. Granted the new wood isn’t fully wood, it’s a wood composite to make it lighter but it’s still wood. And that just seems absurd in today’s world. Like a Porsche 911’s iconic hood and cockpit design, a Morgan has its sweeping wood panel accompanied by a superior black leather interior with a wood finish. Retro, and handmade. Just as we like it. That’s right, every Morgan has a wooden frame. At just under 200 employees, the company is small. And as a result, the waiting time for a new Morgan can be up to two years. But what’s two years to own a car that’s solely about the ‘sunday drive?’ In a world where cars are quantified in torques, cup holders, speakers, and miles per gallon, a Morgan is about freedom. Morgan remembers what it means to just drive, to tilt your head through the turns, to listen to the road, and to smell the Spring through the countryside of ye old England. 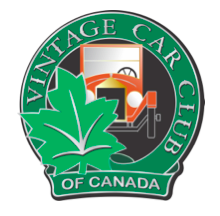 Vintage will hereby never go out of style, as vintage is not about the driver or the car, but about the experience. Morgan’s latest model, a V-Twin 3 Wheeler revival.